How you will be assessed – pass first time! The teaching profession is now more varied than ever before. Modern teachers are more than just curriculum educators. They are role models, leaders and innovators; the first line of contact that our children have with a brighter and better future. With this in mind, it’s essential that schools are employing the right type of people for the job. In our book, we’ll show you how to demonstrate that you ARE the perfect person for the role. We’ll cover a wide variety of interview tips and techniques, show you the questions that you are most likely to be asked AND provide sample responses to show you the best ways to answer them. By the end of our guide, you will be in a perfect position to ace your teaching interview, and secure your dream role. The teaching section. In this section, you will be asked to teach a full practice lesson. You’ll be informed about the subject material that you need to teach in advance of the interview, so that you can fully prepare. The ‘getting to know you’ section. In this section, you will be asked questions about yourself, your motivations and interest in the role, your background and your knowledge of the position. The competency based section. In this section, you will be asked questions surrounding the teacher core competencies, and your past experience of dealing with teacher related scenarios. Start your teaching career today by gaining an insight into the the teacher interview. 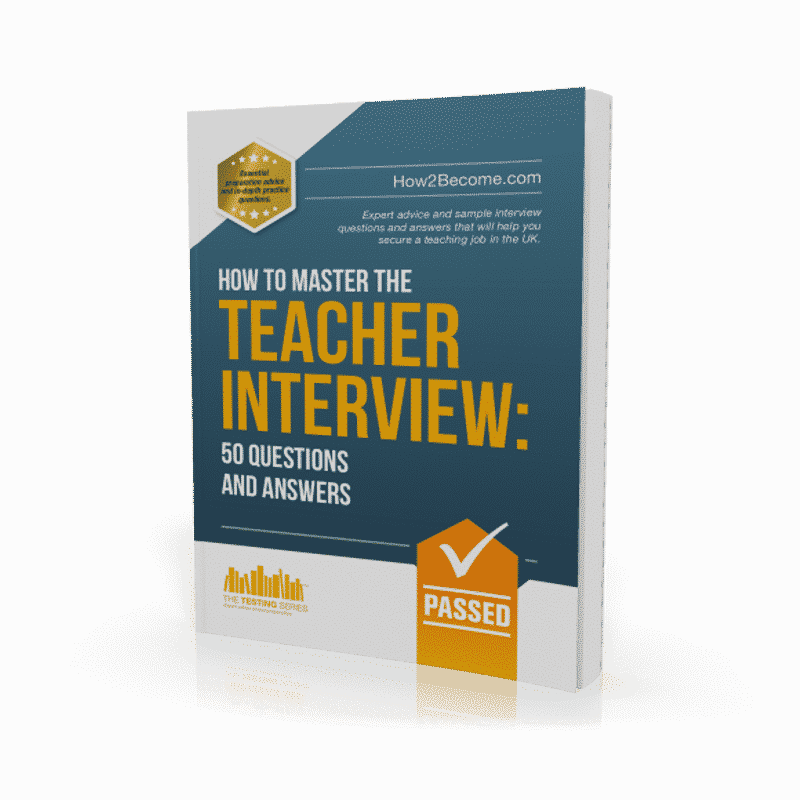 Practice sample interview questions with the help of our teacher interview guide! What a teacher does, their role in school, and their responsibility towards students. What a teacher at the school YOU are applying to does, their role in school, and their responsibility towards students. Your subject, and why it matters in a wider context. The core competencies/expectations of a teacher. The policies of the school that you are applying to. Firstly, you can use the website of the school to find a list of the school policies, expectations and guidelines. School websites usually have downloadable newsletters and lists of any key accomplishments/awards they have received. Make sure you can bring knowledge of their history to the interview, because this will give you a crucial edge over other candidates. Secondly, there is the job description itself. In the job description, you’ll be given a list of requirements for the role. Make sure you pay close attention to these. For example: Lead and communicate with students on a daily basis. This is clearly indicative of the fact that you will need great leadership skills, and must be a good communicator. Communication can be broken down into listening and responding to students. Leadership can also be broken down into taking initiative, making difficult decisions and acting responsibly. For further preparation tips, make sure you pick up a copy of our amazing guide! Now, let’s take a look at the teacher core competencies. The core competencies are a set of standards required for teachers. In this section, we’ll look at what these are, and why they will be essential in your interview. One of the most fundamental skills for any teacher to have is good organisation. Organisation will separate the good teachers from the bad, and many people would argue that this is actually the most important competency. Without good organisation and time management, you will really struggle to succeed as a teacher. The most common complaint from teachers is that they just don’t have enough time to complete all of the tasks that they need to. Teaching is the ultimate time consumer! You will become extremely familiar with lesson planning as you progress in your career. Lesson planning is absolutely vital. It will help you to stay organised, keep your classes on track, stay up-to-date with which classes still need to learn which material, and plan out every single day that you are teaching. The problem with this is that lessons don’t always go to plan. In fact, it’s extremely rare for a lesson to go exactly the way a teacher wants it to. 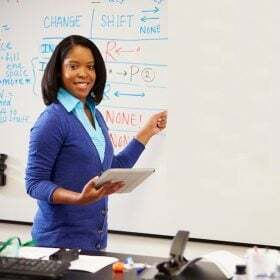 Classroom disruptions, overrunning discussions, and slow students are all issues that will take away from the chances of your lessons running smoothly. However, one of the great things about being a teacher is that no two days are the same. You will face a variety of different challenges, demands and questions on a daily basis. Once you start planning lessons, you’ll really start to understand why your teachers used to get so frustrated with pupils who were disruptive. As the teacher, you are the leader of the class. Students will look up to you and require guidance. You will also act as the authority figure for the group, so you will need to be able to live up to this role. It’s true that some teachers, when they start out, might struggle with this. Leadership isn’t for everyone, and it’s often difficult to deal with at first. You might see yourself as a great teacher, but not necessarily a great leader. However, the reality is that the two go hand-in-hand. Think about it like this; you want your students to learn from you and take on board the lessons you are teaching them. What is the best way to achieve this? The answer is to win their respect. If your students respect you, you’ll have a far easier time teaching them. WHY ARE THESE COMPETENCIES IMPORTANT? Well, apart from showing you how you need to behave as a teacher, they will also be fundamental during the interview. As we’ve explained, the teaching interview is made up of 3 stages. The 2nd stage of the interview will not only test your knowledge of the competencies, but will also require you to demonstrate occasions where you have used these competencies in the past. For example, you might be asked to talk about a time when you have demonstrated your organisational skills. In the interview section of this guide, we’ll break down exactly how to do this. For more core competencies, check out our fantastic guide! Now, let’s look at the three sections of the teacher interview in more detail. Along with answering interview questions, many interviewers will also ask you to teach a practice lesson. This is so that they can assess how well you are actually able to teach, rather than how well you can talk about teaching! In many cases, the practice lesson will come before the interview itself. The reason for this is so that the interviewers can ask you questions based around your lesson. For example, you might be asked to assess how you felt the lesson went, and identify areas in which you struggled or were strongest in. While we can’t actually show you how to run a lesson in this book, we can give you some top pieces of advice for planning and executing your lesson to perfection. Organising the room. The way your students are sitting in the room is really important. Very often, this can have a huge impact on the way in which the lesson pans out. Your seating plan should correspond with your teaching style. While you don’t want to be rearranging the classroom for every lesson, the way you intend to teach needs to match the organisation of the room. For example, if you are a teacher who uses large amounts of group work, then you need to have students sitting fairly close to each other, so they can collaborate effectively. You also need to be able to move around the room and interact with different groups yourself. You could also use the circle seating approach, which is becoming more and more popular. By placing students in a circle, the focus becomes directly on interaction with the group, rather than simply interacting with the teacher. Interacting with the class. When speaking to the group, it’s essential that you are talking loud enough for the whole class to hear. As we mentioned in the organisation section, if students can’t hear or see you, they’ll become distracted and start misbehaving. Speaking loudly and clearly is also important because it allows you to develop a clear sense of control and authority. Obviously, yelling at the top of your voice won’t do you any favours, but you need to make sure that it’s clear that you can and will raise your voice if necessary. It’s also important that you don’t speak too quickly. This is a common problem, especially for newer teachers who are nervous. Lesson Material. It’s essential that you keep your lessons interesting, and make sure your students are focused and on track. Generally, the older students get, the more focused they become. This means that if you are teaching younger age groups; you can expect to deal with more distractions (although this isn’t always the case!) This extends to talking and idle chatter too. Most teachers despair of this, but you can actually turn idle chatter to your advantage. Part of good teaching involves using real-life experiences as a platform for learning. Creating communication activities, where students can relate certain topics with ideas and situations from their own life; is a great way to minimise time wasted in the lesson. Your research into the position. Your subject knowledge and understanding of what makes a good teacher. Since you’ll be working with children, it’s essential that the interviewers can get to know you properly, before they make a decision on whether to hire you. The school need to be assured that you are a safe and responsible individual, who can provide great leadership to their students. Although you will need to pass a DBS check anyway to gain a position as a teacher, it’s important for the school to make certain beforehand. They don’t just need to know that you are safe and trustworthy, but that you are reliable, hardworking, organised and able to cope under pressure. Remember that when you are being interviewed for a teaching position, you aren’t just being interviewed for any job. Teachers aren’t just teachers; they are carers and role models, and therefore it’s essential that schools choose the right candidate for the job. The last thing that a school wants is to employ someone who will crumble under pressure when faced with a class full of students. With this in mind, they need to make sure that they have a personality that fits with the role. Throughout this chapter, we’ll be showing you how to put this across in your answers. Our sample responses are aimed at helping teachers across any level. 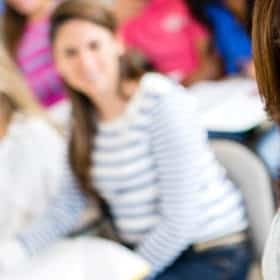 Whether you are a trainee applying for that first job or an experienced teacher, our answers are sure to help you. Q1. Tell us a bit about your skills, background and motivation for applying for this role. Q2. What skills do you have which distinguish you from other candidates? Q3. In this school, we really encourage our students to be creative and think outside of the box. How do you approach creativity in the classroom? Give me an example of when you have tapped into the creative side of your students. Q4. Give me an example of a time when you have worked constructively, to resolve an issue with a work colleague. A comprehensive overview of the 3 different interview sections, with tried and tested advice on each and every single one! Top tips on how to APPLY the core competencies to your responses! FIFTY sample interview questions and responses. 4 incredible chapters, designed to help you secure your dream career!